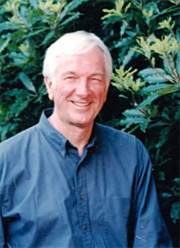 Fred Hunter made his living as a screenwriter for 25 years after stints as The Christian Science Monitor's Africa Correspondent in the early 1970s and, earlier, as a US Information Service officer in Belgium and the Congo. Fred has written screenplays for Twentieth Century-Fox and Universal as well as television movies produced by PBS, ABC, CBS and Disney. Cune Press published his AFRICA, AFRICA! Fifteen Stories in 2000. Fred edited the Monitor's Home Forum page for a year while on sabbatical from scriptwriting and has taught screenwriting at UCSB, the Santa Barbara Writers Conference and Principia College. He's a graduate of Principia College and holds a Master's Degree in African Studies from UCLA. He and his wife Donanne live in Santa Barbara, California. Page delivered in 0.00044 seconds.